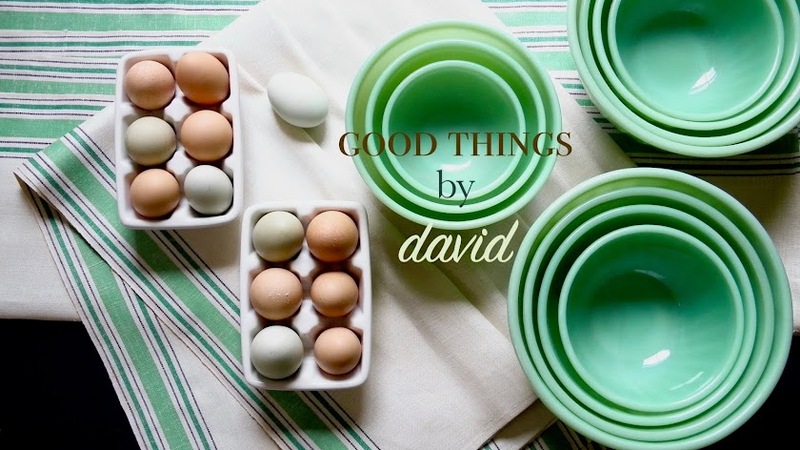 Good Things by David: Cookie Giveaway! As you know, I love a good homemade cookie. I bake cookies on a weekly basis, either for my own cookie jar or to hand out to someone in town. Well, I thought it would be fun to send one of you a dozen of my homemade cookies this month! What better way to say thank you for supporting the blog than by giving one lucky reader some delectable Good Things by Mail from my Pennsylvania kitchen? I take great pride in making & creating cookies that are not only good to look at, but those which taste simply delicious. I get requests by friends and family members throughout the year for some of my creations, but this time I think I'll give one of you a nice surprise instead. This cookie giveaway is as simple as can be. Simply go to the comments section below and let me know why you or someone you know would like these Good Things by Mail. You have until April 15th to submit a request (I will choose that day). Since I live in the United States I'm going to have to limit the winner to someone who lives here in the states. I'm even going to give you the choice of cookies from the recipes below. 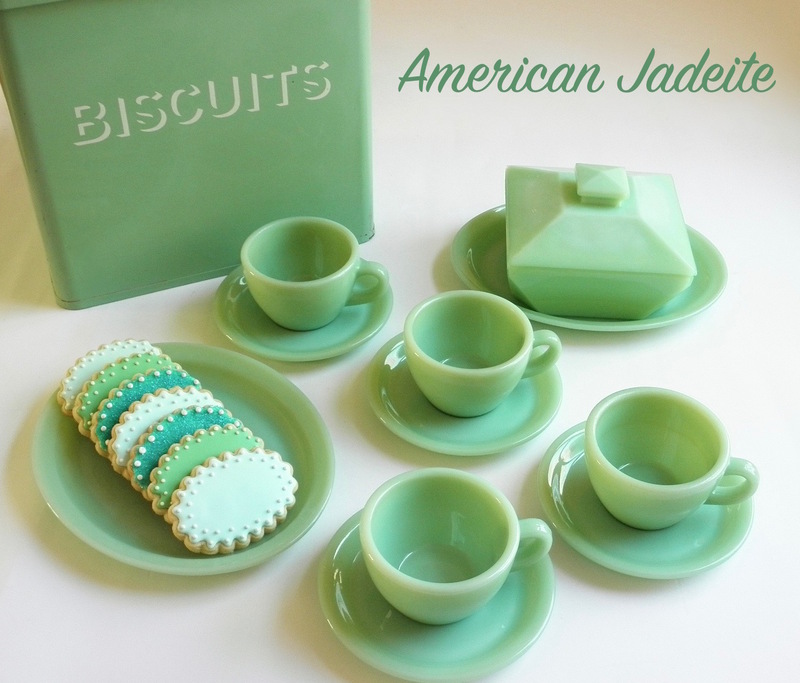 I will use a collectible cookie cutter from my collection to create a one-of-a-kind batch. This would go to my sister and her family. She has hosted my family for all the family events and she has four young children and one has a special needs issue. She has also hosted my parents as they have had health issues. David, you are my inspiration to break out of the chocolate chip rut, and have made my husband a real cookie-lover, instead only wanting the same old thing! My recipe notebook is noticeably thicker, thanks to you! I would be thrilled with anything you'd made! I would love to win a batch of your cookies! I've been a fan of your blog for a long time now and will continue to be one! I think my family and I would appreciate these cookies especially because we have all been on a major health kick lately. Since the new year we made a resolution to eat better and all four of us have really stuck to it! So, I think we deserve a reward because everyone needs a treat now and then! Thank you for your consideration! What a nice gesture, David! Your blog is an inspiration to me -- in fact, I'm making black beans and rice for dinner tonight, using your recipe. We recently moved to Florida, and have been very busy working to make our house into a home. (It needs a lot of work, but we're trying to think of that as an opportunity to put our own stamp on it). Some of your delicious cookies would definitely be a treat. Any would be wonderful, of course, but the Hungarian Butter Cookies always look so bright and cheerful in your photos. Thank you! Ok, before I submit the reasons my mom should get these wondrous cookies, I will admit that I WILL be eating some too if she should be selected! That being said, my mom has been the caregiver for my ill dad for TEN years. I've helped as much as possible, between raising 4 kids, working, and keeping house. But the enormous burden falls on her, and my sisters and I do what we can. Knowing my mother, who is grateful for something as simple as a daisy in a bud vase, she would absoluely FLIP if I presented her with these. Your cookies are works of art, I adore the Hungarian cookies, some of which use the same sprinkle colors as Mardi Gras in New Orleans. Great giveaway, David. I only wish more people realized how wonderful it is to bake, it's something I do every few days. Many thanks for the chance to win. I felt like I won the lottery when you sent me your Gingersnap cookies at Christmas so I know EXACTLY how fortunate your winner will be. If lightening were to strike twice in my lifetime and I were to win, I would choose your Hungarian Butter Cookies. 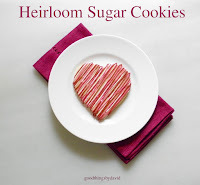 I am actually thinking about changing my sugar cookie recipe to this recipe so tasting it, made by the master (YOU!) would be wonderful indeed! Much as I would love to claim these for myself, I would have you send them to my parents-in-law. They are about to move into an assisted care facility after 40 years living in the same house. I think they could really use some home-baked goodness. I would choose the mint ones because they, like me, are chocolate mint fiends. I think those Hungarian Butter Cookies sound amazing!! Janet- who's blog I adore- is what led me to discover your blog. And I am so glad I did! !